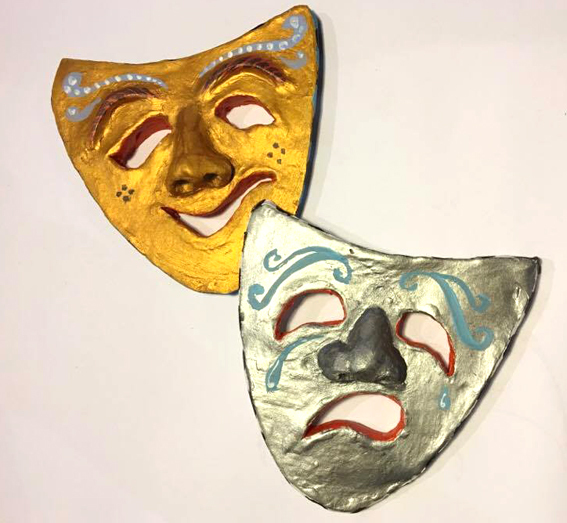 The ancient Greeks gave us the theatre. 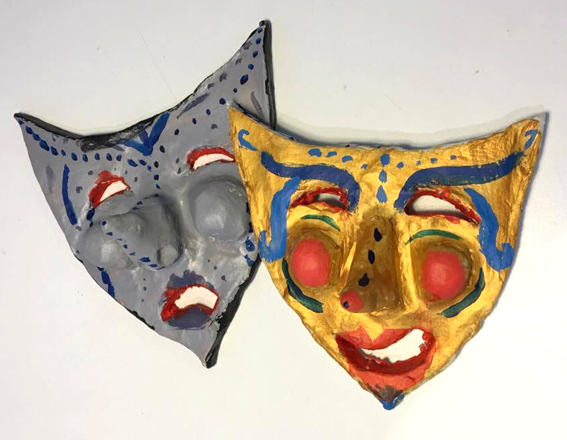 In those days the characters performed mostly in either tragic or comedic roles, with the actors in tragic roles wearing a boot called a Buskin (Latin cothurnus) that elevated them above the other actors. 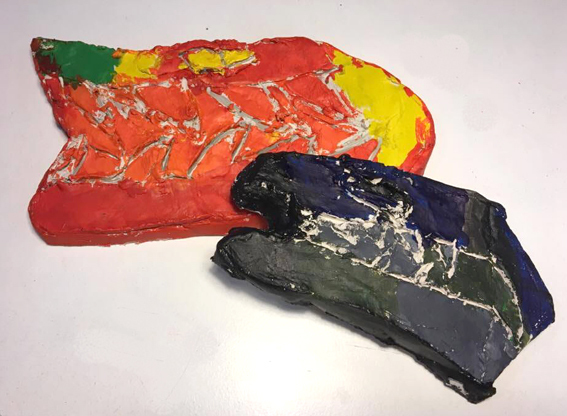 The actors with comedic roles only wore a thin soled shoe called a sock (Latin soccus). 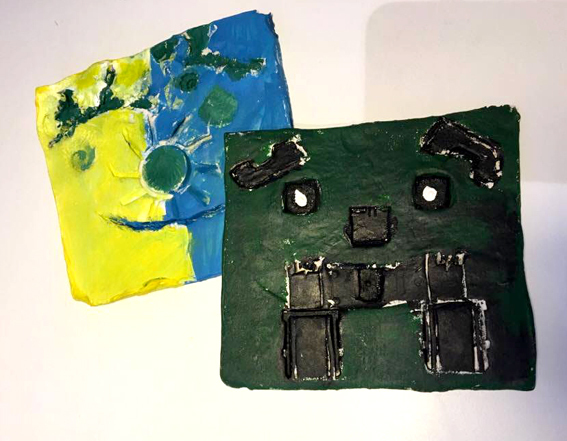 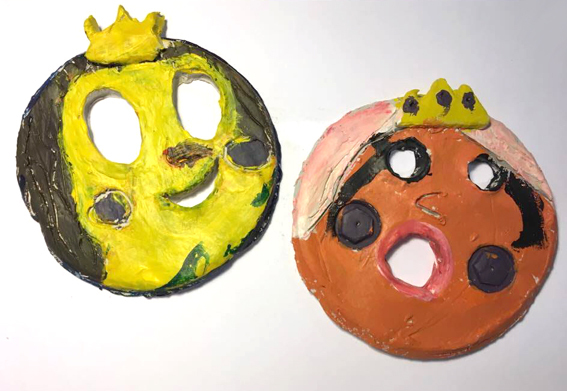 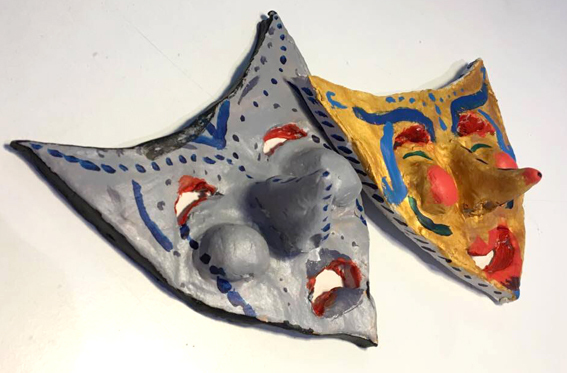 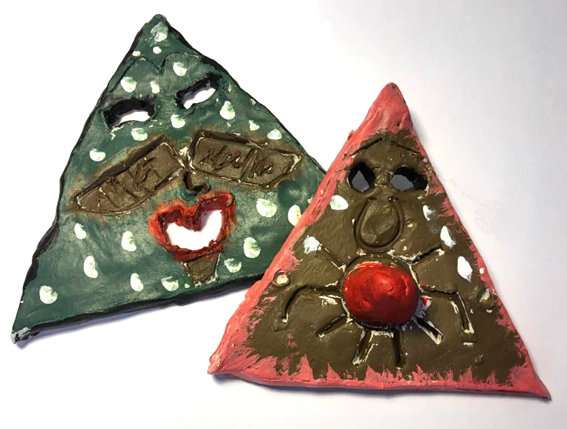 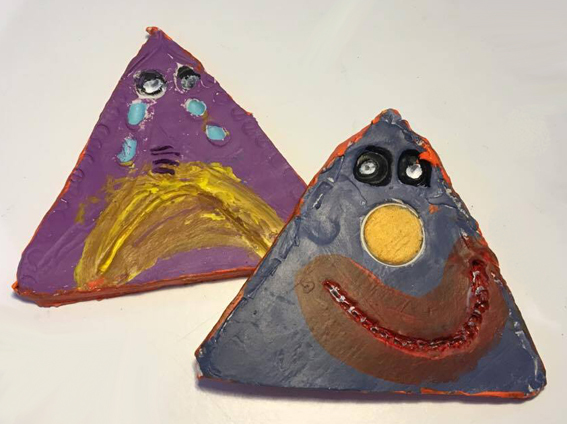 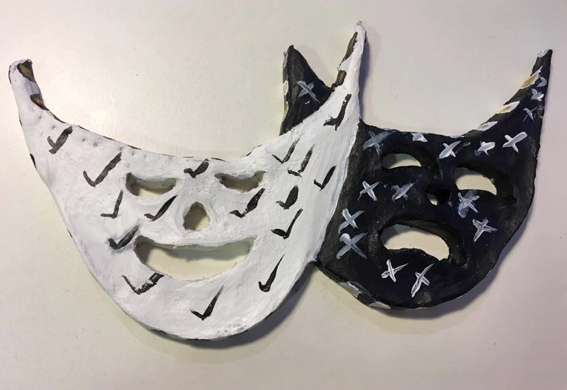 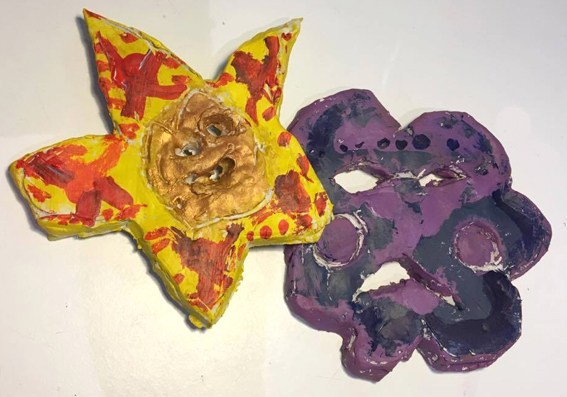 The two masks we often see today in relationship to venues or advertising for performances are the faces of ‘Sock and Buskin’ and the Arty Farty Kids made their own versions using paper clay and paint.